Digital transformation in retail and commerce is big business. A business of huge opportunities and unique challenges. But what is the current status in Belgium? How far along are Belgian retailers and brands in their digital transformation? Client Service Director at Emakina.BE Kevin Van den Bosch shares some of his insights on the future of retail. Leading up to 2019, Emakina and Salesforce brought leading figures of 15 brands, retailers and pure players together to discuss and share their views and expectations. The perfect setting at the splendid 3* Michelin restaurant, Hertog Jan, provided for great food and lively conversations. The event served a true taste of the future of retail. And it was a perfect moment to look back to e-commerce in 2018 and forward in the new year. being discussed around the table? In the fourth industrial revolution consumer behaviour is changing and constantly evolving. Technology is the driving factor throughout the digital transformation. The rise of ecommerce and digital solutions is pushing brands and retailers to evolve as well. This gave birth along the way to different customer retail experiences, going from multi-channel over cross-channel to omni-channel experiences. How to create a unified commerce experience for your customers? Whenever, wherever and no matter on what channel a customer connects with your brand, they expect a consistent and personalised experience. A daunting challenge that can best be done with the right partners at your side, as Lola & Liza explained, when they shared their ongoing digital transformation journey. As a brand or retailer, you need a 360 degree view on each individual consumer and make that view available to everyone in your organisation, ranging from your sales, to marketing and service teams. No easy task, but perfectly feasible with the right tools and strategy behind it. 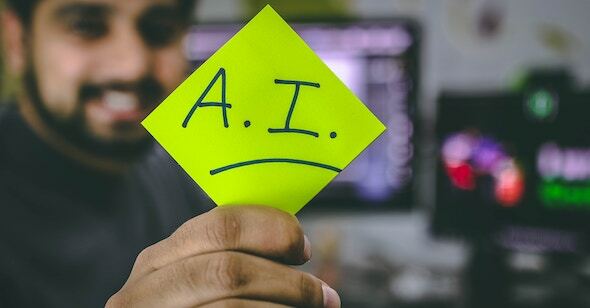 Artificial intelligence was the buzz term of 2018 in digital marketing. One could not attend a marketing conference or AI had a prominent place on the agenda. But how to use artificial intelligence in retail? What can AI do for a brand in retail? Retail is proving to be an early adopter of AI technology. 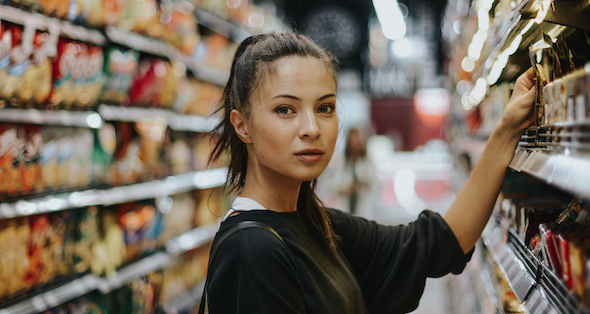 The promise of better understanding shopper preferences and consumer behaviour entices retailers to test, learn and continue to experiment. Although it is still early days, especially in the Belgian market, the participating ecommerce specialists concurred AI holds lots of promise, not only in retail, but in other categories as well. 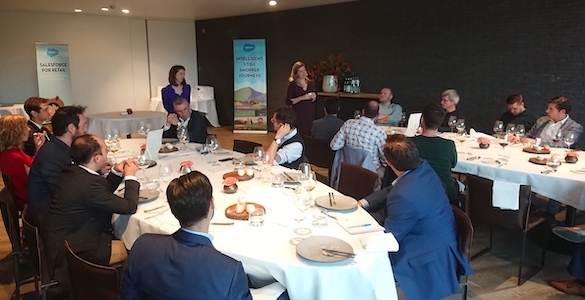 Salesforce presented – between two delicious courses – a few key insights on the customer success case of ‘retailer of the year 2018’, the luxurious bath, body and home products brand Rituals. Most of the attending brands admitted they were experimenting with artificial intelligence. The encouraging results of their tests open doors to further roll-outs and hopefully future success in unified commerce. The main challenge so far is to attribute the generated uplift to the involvement of artificial intelligence. But this should only be a matter of time and focus of their respective data teams. As Amazon and other marketplaces gain traction across the globe, retailers face a changed consumer and a new reality. A reality filled with great opportunities and equal challenges. Questions like ‘how to build a brand on Amazon’ and ‘How to maintain my brand equity and brand identity on a marketplace’ are commonly asked by both brands and retailers. This challenge is less an issue for online pure players. However, a challenge in common for retailers, brands and pure players is price and pricing strategy. Being present on and selling through Amazon and other marketplaces requires a well-thought-out pricing strategy. All retailers agreed you don’t want to dive head first into the deep end, unless you already got your feet wet and know how to swim. Building out those specific go-to market strategies requires insights, knowledge and an agile approach to pricing, and by extent business in general. The setup of marketplaces like Amazon offers great opportunities. The sales volume marketplaces generate and represent in different product categories is huge. A source of revenue all retailers want -and maybe need- to tap into. A less talked about opportunity that Amazon offers is the opportunity for brands and retailers to test and learn. You can easily and quickly set up experiments on key elements like price, margin,… Almost instantly you will see the positive or negative impact on sales. This approach allows you to find the sweet spot between the customer experience and what a customer is willing to pay for that, while optimising your sales volume and margin on those sales. Emakina loves to team up with brands and retailers to help and guide them through their digital transformation. Offering a mix of business strategy and an obsessive focus the right customer experience, we believe in making the difference in results. Interested to boost your business? Drop a line to Kevin Van den Bosch! We have long-lasting expertise and relationships with clients like Lola & Liza, Rituals, Intersport (and many more). As a Salesforce Consulting Gold partner we can help you build unique customer experiences that drive business results. Does this sound like a recipe for success to you? Feel free to get in touch with one of our commerce experts.